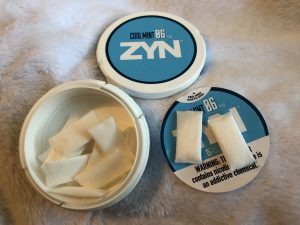 Today, we’re going to be talking about Zyn Nicotine Pouches: Cool Mint (06mg). Zyn is a relatively new product from Swedish Match which contains nicotine but no tobacco! 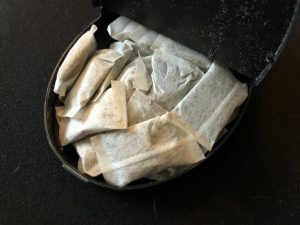 The Northerner.com description says “ZYN pouches are a tobacco derived nicotine product. The nicotine in ZYN is extracted from the plant Nicotiana tabaccum (“tobacco”) However; the product contains no tobacco plant matter (e.g., leaf, root) in any form.” More and more these days people are wanting to quit smoking and tobacco, but still enjoy nicotine, so these products are filling that need! Before we jump into the review, I want to mention something neat about the Zyn cans. If you peel off the top label (which has the government mandated warning label), you’ll find How To Open and How To Use instructions. You’ll also have a can that looks much, much better. Zyn has a childproof lock, so to open it you’ll need to line up the arrows on the can and pop the can open. Then, put a Zyn pouch in your upper lip and enjoy! When you open the can, the aroma is a gentle mint/menthol aroma. The pouches are small and dry to the touch, so at first they aren’t the most comfortable, but as they get more moist they do get more comfortable! The taste is quite similar to the aroma. 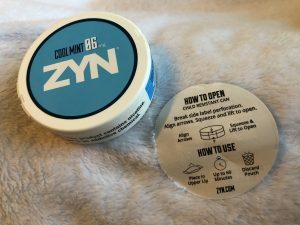 Zyn Cool Mint has a lightly sweet mint taste with present notes of menthol. The nicotine strength is stronger than the 03 version. 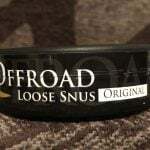 If you have used snus before, it feels to be about as strong as a regular strength Swedish Snus product (8mg/g). The flavor on these lasts about 35-45 minutes on average. 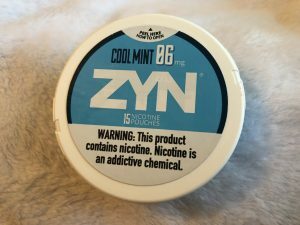 If you’re interested in trying something different, or want to enjoy nicotine without tobacco, Zyn Nicotine Pouches: Cool Mint (06mg) is worth a try! Upon opening the can I noticed a peppermint smell, which came through in a very light and mild way. It wasn’t too sweet, either. The can has 20 portions, which weigh about 0.375 grams each, so they’re smaller in size. They’re also quite dry, but get more comfortable once they become more moist. In the lip I noticed a very light cooling presence, as well. The taste is a relatively light, gentle taste of peppermint with a light touch of sweetness. The flavor lasts up to about 30 minutes on average. The nicotine strength isn’t too strong, so if you don’t need a lot of nicotine you’ll probably be satisfied with this one! To wrap up, I personally prefer Zyn Peppermint, another nicotine pouch product. 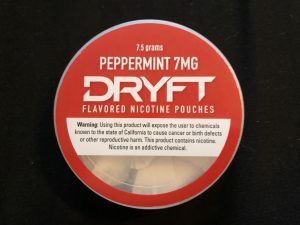 But, if you like nicotine pouches and want to try something new, give Dryft Peppermint (7mg) Dry White Mini a try! It’s not too bad, and is a good alternative for ex-smokers! 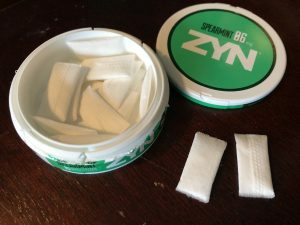 Today, we’re going to be talking about Zyn Nicotine Pouches: Spearmint (06mg). Zyn is a relatively new product from Swedish Match which contains nicotine but no tobacco! The Northerner.com description says “ZYN pouches are a tobacco derived nicotine product. The nicotine in ZYN is extracted from the plant Nicotiana tabaccum (“tobacco”) However; the product contains no tobacco plant matter (e.g., leaf, root) in any form.” More and more these days people are wanting to quit smoking and tobacco, but still enjoy nicotine, so these products are filling that need! When you open the can, the aroma is a mild, lightly sweet spearmint smell. The pouches are small and dry to the touch, so at first they aren’t the most comfortable, but as they get more moist they do get more comfortable! The taste is very much like the aroma! 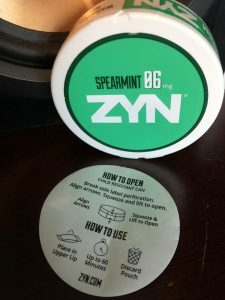 Zyn Spearmint has a gentle, refreshing spearmint taste accompanied by a light sweetness! The nicotine strength is stronger than the 03 version. 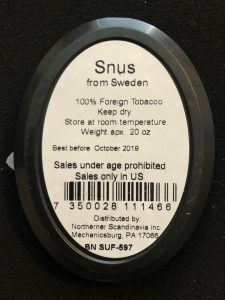 If you have used snus before, it feels to be about as strong as a regular strength Swedish Snus product (8mg/g). The flavor on these lasts about 35-45 minutes on average. 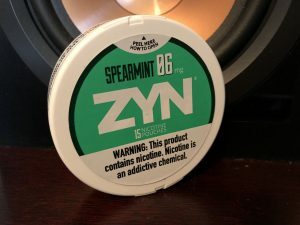 If you’re interested in trying something different, or want to enjoy nicotine without tobacco, Zyn Spearmint 06 is worth a try! 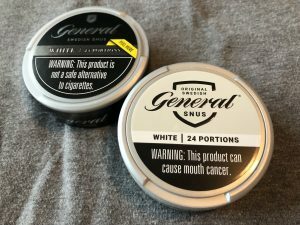 Swedish Match has redesigned the General Snus product line sold in the United States! The products formerly had a very simple, bland, basic design to them but now look much better! The best part about the redesign is that these products are now easily discernible from each other, something the product line lacked before. 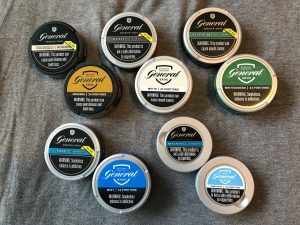 The entire US General Snus line is for sale at Northerner.com, and these newly designed products should begin appearing in the webstore soon! One thing to note is that the new cans do not have the removable label like the old cans do. So, there is no label underneath the top label anymore. Also, it is really neat that the General logo is slightly raised on the new can design. It’s quite classy! 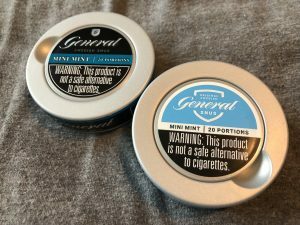 General Mini Mint – The new design retains the blue attribute of the old design, and this one is a little lighter in blue than the full size General Mint. 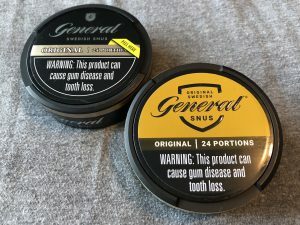 This is the only can in the US General Snus lineup that has the smaller sized catch lid. 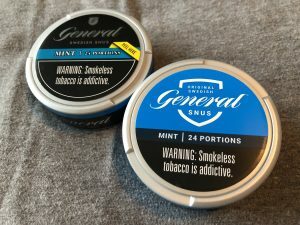 General Mint– The redesign for General Mint retains the blue color of the old can, and is a little darker than General Mini Mint. General Original – The General Original can has a gold/bronze color to it which seems to resemble the General Original can sold in Sweden. General White – The General White can is a light silver color/off white, which also slightly resembles its counterpart sold in Sweden. 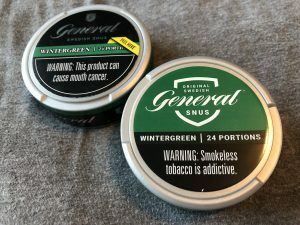 General Wintergreen – The General Wintergreen can has a nice, dark green color to it. These new designs should be available soon in the Northerner.com webstore, so keep an eye out and you can get some of these cans! Today marks the 20th anniversary of Northerner.com! Earlier I wrote an article about that and some sales that are going on along with the 20th anniversary celebration. 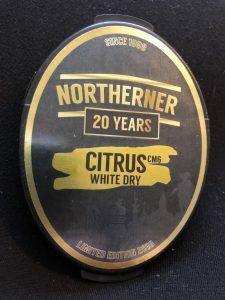 In addition to those sales, a special, new, limited edition product was released: Northerner 20 Years CM6 Citrus White Dry! 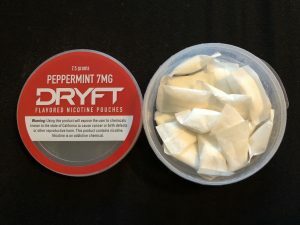 This product is described as having a “fresh flavor of citrus and menthol“, and it is said to come in an “exclusive custom made box“. 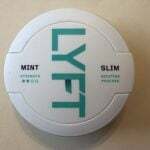 The container is more oblong, and not round like a traditional snus can. 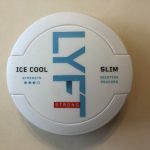 It is also quite thin, so it fits discreetly in your pocket without showing through like a regular snus can would. It also has a gorgeous, shiny design with black and gold characteristics. Northerner 20 Years CM6 has a fresh, slightly tart smell of lemon. The pouches, as noted earlier, are dry and mini. Usually these aren’t the most comfortable at first, but after a short period of time and once they’re exposed to your saliva they do become more moist and get to be more comfortable. When you put a portion in your lip you’ll encounter a gentle cooling presence which spreads throughout the upper lip and adds a fresh element to this snus! The flavor is a lot like the aroma; there is a mild, lightly tart lemon flavor accompanied by a very light sweetness. The menthol presence is mild, and in the background behind the lemon. As far as the nicotine strength goes, it feels to be a little less than the regular strength level. Being a dry white mini product, the flavor has an exceptional amount of life on it! I usually can keep a portion in for up to about an hour. If you like citrus flavored snus, mini snus, or just want to try something new, check out Northerner 20 Years CM6 Dry White Mini today!